Heading towards a brutally cold and snowy winter in 1868, the city of Denver has contracted for 40 wagons of whiskey for the thirsty citizens and miners, but the Indians have gotten wind of it and aim to peel off some for their very own, a gaggle of Temperance Women have vowed to stop it, the miners have formed a citizens’ militia to get it through, and the Irish teamsters driving the wagons are on strike. 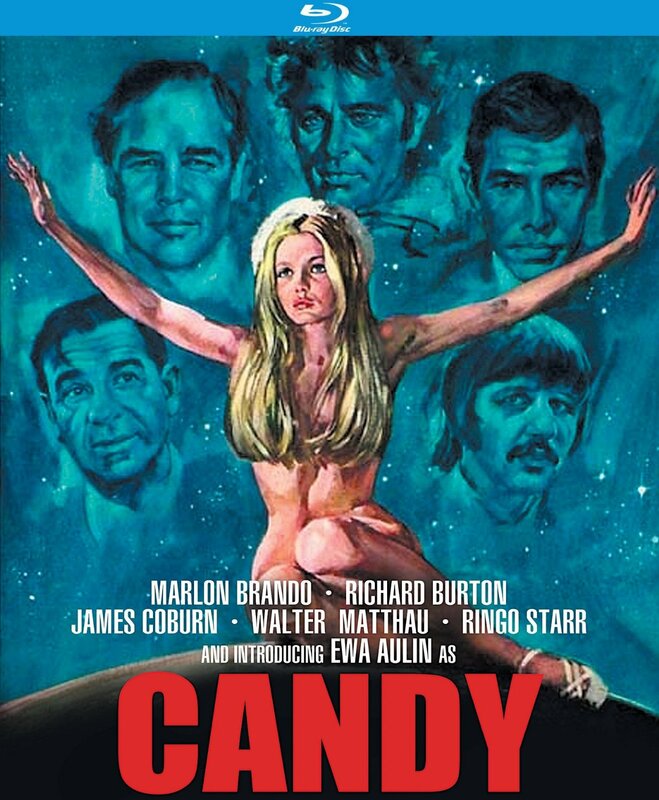 The U.S. Cavalry rides in to keep everybody from killing each other in a very broad slapstick roadshow comedy from those bygone days of yesteryear, the 1960s, when movies were oft-times wide, overblown, and long. 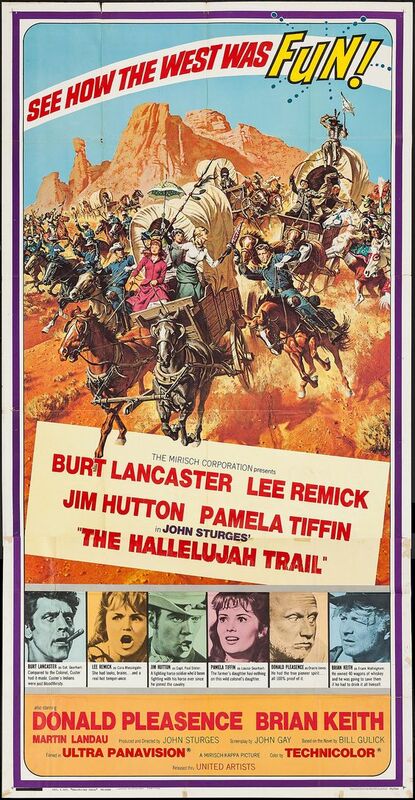 I hadn’t seen this coming – a comic version of How the West was Won (or It’s a Mad, Mad, Mad, Mad World with horses) and while I like Cinerama movies as much as the next guy, what was laid out as a perfectly acceptable Operation Petticoat-level comedy (affable as heck but without a lot of belly laughs) somehow got waylaid into a huge 2-3/4 hour monster of a film that mostly seems to consist of Burt Lancaster (as the Cavalry master) and Martin Landau (as an Indian brave) making funny faces at the comic melee around them. Lee Remick is hideously miscast as the temperance lady, Jim Hutton and Pamela Tiffin are the young lovers, Brian Keith is his crusty best as the Whiskey Baron, Donald Pleasance is the not-funny-at-all comic relief oracle who foresees the terrible winter, and Dub Taylor is… well, Dub Taylor. What you want, him playing Lady Macbeth? 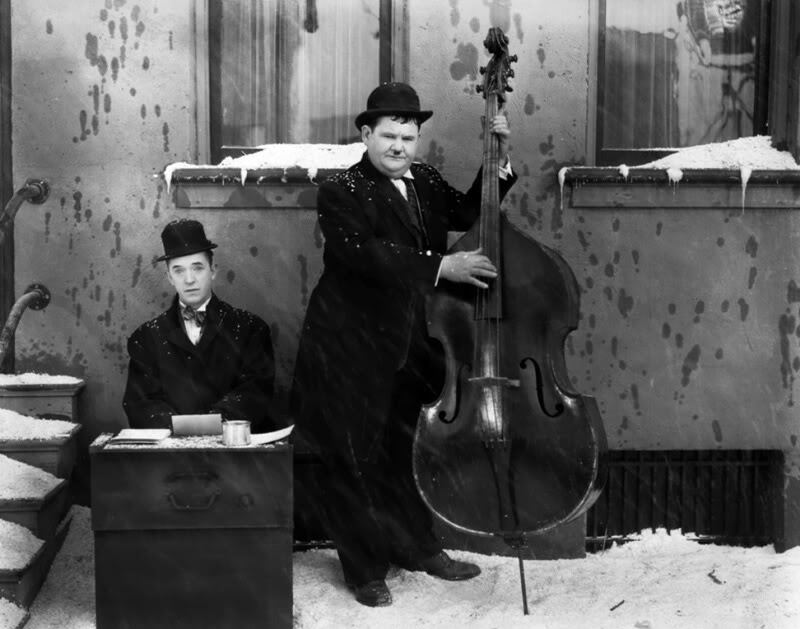 All that said, the film is, as remarked, affable as heck – the characters are appealing and the setup is quite humorous and the narration (by an unbilled John Dehner, can’t miss that voice) is hilariously deadpan (it’s the best part of the picture). The big problem is that the film’s climax – all the interested parties marching to Denver meet up in a battle to the death in a sandstorm and can’t make out head nor tail of each other – comes just before the Intermission, and we still have half a movie to go! Anybody thinking the movie was over and leaving at halftime saw all the good stuff. Sturges directed large-scale 1960s films that worked, notably The Great Escape, but this one is for people with a lot of patience and an affinity for big stars making funny faces (and you know us, we’re not above that sort of thing). The film is beautifully photographed (by Robert Surtees, of Ben-Hur fame) and the score by Elmer Bernstein is terrific. One just wishes that there wasn’t so much of it. 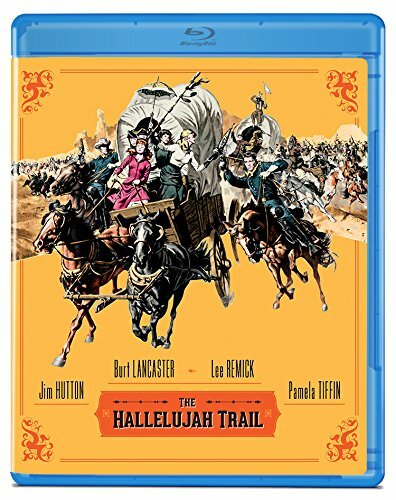 The Blu-ray is rather pedestrian, alas, nothing to show off how good your system is (Olive Films warned us that “The Hallelujah Trail is sourced from the best available elements”). It has the trailer and subtitles but no other extras.